Sri Lanka’s new government warned Monday that defeated Tamil Tiger rebels could regroup and orchestrate another conflict, six years after their defeat in the island’s separatist war. 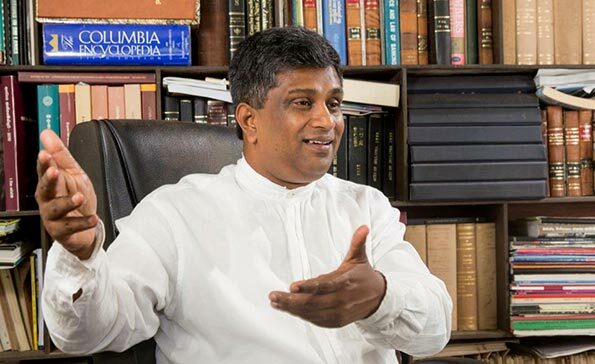 Deputy foreign minister Ajith Perera made the comments after members of his government pushed for the European Union to again blacklist the separatist Liberation Tigers of Tamil Eelam (LTTE). Perera said members of the LTTE had millions of dollars in foreign assets that could be used to fund another guerrilla war at home. “Their front organisations operate businesses abroad, they run petrol stations, supermarkets and have shipping companies,” the minister told reporters in Colombo. Perera said the EU last week placed the LTTE back on its terror list following a request last year by Sri Lanka’s now prime minister — after a European court last October ordered the LTTE’s removal from the blacklist. “The European Union took the action following a request from our Prime Minister (Ranil Wickremesinghe) in November (when he was the leader of the opposition),” Perera said. President Maithripala Sirisena, elected in January, has taken steps towards reconciliation with ethnic minority Tamils following the decades-long war that ended in 2009. His government has pledged to investigate war crimes allegedly committed during the conflict in sharp contrast to former strongman Mahinda Rajapakse who insisted no civilians were killed by his troops. Sri Lanka has previously said that the LTTE extorted money from Sri Lankans abroad to finance their campaign for an independent homeland in the island’s northeast. Sri Lankan forces crushed the Tigers’ leadership in the 2009 military campaign, sparking allegations that up to 40,000 Tamil civilians were killed. During the height of their power, the LTTE controlled over a third of Sri Lankan territory and was feared for their trademark suicide bombings. Neighbouring India banned the LTTE after holding them responsible for the May 1991 assassination of former prime minister Rajiv Gandhi. The US outlawed them in 1997. Is this the very first time we hear this? Is this some kind of new threat to SL and its people suddenly found by the new government? Then how come thay dismantle almost all preventative measures the previous government had put in place in Colombo and North? Agree with Indra, this is not something new. People live in SL and know about LTTE already know this. It is the same Government lifted the travel ban on LTTE organizations and suspected LTTE die-hard supporters. Same government dismantling Military camps. Now the same government waving a red flag. This is ridiculous! You are quite right Jayraj, the biggest and the most imminent danger to present day Sri Lanka and to the ruling Ranil & Co. is the open regrouping of Rajapaksha clan and they have plundered public funds for it.Present day regime for their very existence should wipe them out from the political arena.Meanwhile Hon. PM is cleaning the stable and laying the RED CARPET for LTTE to walk on to their EELAM. Grand Old Lady from the Walauwa clan is the Happiest Creature on earth at the moment. Ha ha , we wonder why these other political parties so jealous about this present gov.these are the extreme conspiracies of those parties to get down the present gov from the power in order to get set more votes from the Sinhalese.But one thing all must know that we are Muslims never n ever support or give hands to the Tamil separatists to seperate our loving country into two. We are always to be Sri Lankans.we want peace n hormony in each with lovely Sinhalese ,Tamils n others like before ( before mahindas regime) . More over we always oppose these separatist LTTE and racist goons and thugs party BBS. But we always aware that we are the first enemy of grue some LTTE for more than two decades for some reason even considering our countrys peace.